Got a baby shower on the calendar? 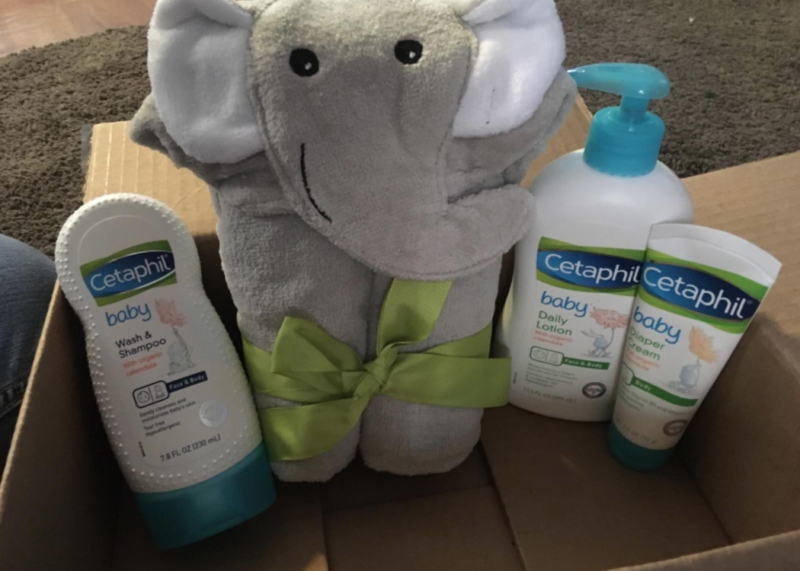 The Cetaphil Baby Sensitive Skin Bath Time Essentials Gift Set with Elephant Hoodie Towel is on sale now priced for $17.99 but clip the 15% off coupon and the price at checkout drops to just $15.29! Save up to an extra 15% off when you checkout via the Subscribe & Save option making the price as low as $12.60 delivered to your door! Yes, you can cancel your subscription after it arrives. 😉 I usually use subscribe & save with 6 month time frames so I have at least 6 months to go on the Amazon page here and cancel. From the gentle skincare experts comes a line of products specially formulated to protect and nourish your little one’s delicate skin. Cetaphil Baby products are paraben free, mineral oil free, hypoallergenic, and dermatologist tested. The Cetaphil Baby bundle includes three full-sized products PLUS a BONUS elephant hoodie towel so you can wrap your little one in warmth after bath time.